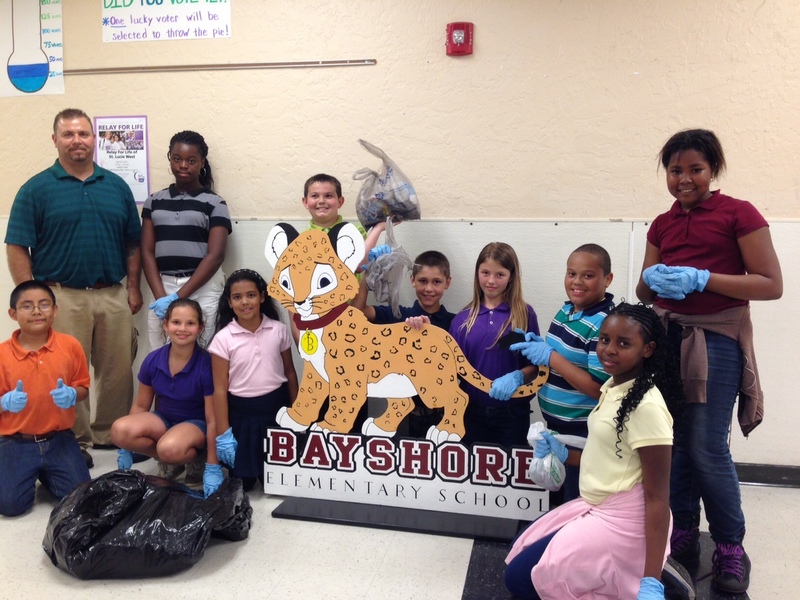 Bayshore Elementary students in the National Elementary Honor Society (N.E.H.S) clean up their school. For part of the N.E.H.S. community service project, students in fourth and fifth grade at Bayshore Elementary developed and implemented a plan to clean up their school. Students worked after school hours to clean up the entire campus of tehir school. Pictured from left to right are, Alex Martin, Teacher and Sponsor Alan (A.J.) Bevacqua, Solithia Coke, Marisa Roth, Giana Infante, Patrick Boje, Andrew Jones, Trinidy Restle, Jamaro Lee, Katelyn Hall, and Timaya Jones.